The click through rate (CTR) is the number of ad clicks divided by the number of impressions, page views, or queries you received. 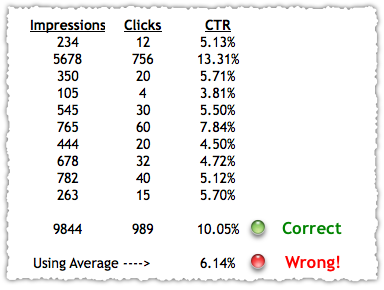 For example, if you received 7 clicks out of 1000 page views, your page CTR would be .7%. Click Through Rates are highly depend on how much clicks you get per view of the ad’s content, Google count 1 impression per page visit despite you show 1 Ad or 3 Max Ad’s on your blog/website page. In General The Click Through Rate is 1% To 2% but people have reported to get more that 10% CTR at a time.